TRA brings sunshine to the railway. The Taiwan Railway Administration (TRA) will open a sparkling new station, its first to be powered by the sun. The solar powered station will open up to commuters on July 14 and is an attempt to improve public transportation for people who work in Tainan County’s Southern Taiwan Science Park. Earlier set up as a temporary station for visitors to the 2008 Taiwan Lantern Festival at the science park, the Nanke Station was negotiated upon by the county government and the TRA, converting it into the first permanent station to be built by a local government. A solar powered system is to be installed at the station. Panels are to be installed on the roof and all over the platform that will absorb in juice from the sun. Five hours of solar power in the form of direct sunlight is enough to generate as much as 2,688 kilowatt-hours of energy a month that is good enough to power up this station during the daytime. The station is so designed to allow in daylight. 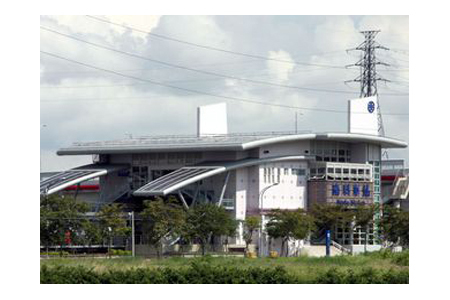 Three cheers for the greenest railway station in Taiwan.